MQTT is fast becoming the default communication protocol for the Internet of Things. MQTT-SN is a variant specifically developed for sensor networks, enabling a highly efficient manner to communicate sensor data to and from IoT applications. Thingstream is a globally available MQTT-SN based network which works across almost all GSM/cellular networks in the world. 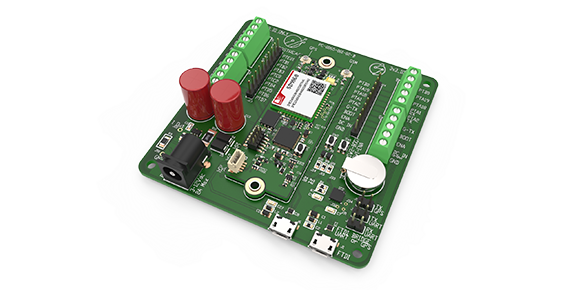 This Thingstream IoT Sensor Starter Kit enables a developer to easy connect a power source and appropriate Sensirion sensors to rapidly develop a production ready connected device prototype. The kit includes everything you need including 90 days global connectivity out-of-the-box. By using the kit in conjunction with the Thingstream Global Connectivity & Integration Platform, diverse and robust applications can be quickly created by visually wiring the connected Sensirion prototype to 3rd party API’s and web services to build an end to end working application. To order a Thingstream Starter Kit, please click here.